Jeremy is a Senior Lecturer in Strength and Conditioning within the School of Medical and Health Sciences. 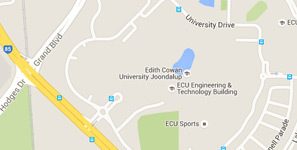 Doctor of Philosophy, Edith Cowan University, 2009. Surfing Collaborative Research Program: A partnership between Surfing Australia and Edith Cowan University, Surfing Australia, Surfing Australia - Grant, 2014 - 2017, $366,062. Surfing Collaborative Research Program: A partnership between Surfing Australia and Edith Cowan University, Surfing Australia, Surfing Australia - Grant, 2011 - 2014, $471,531. The development and evaluation of a comprehensive sport-science testing protocol for competitive surfers, Edith Cowan University, ECU Early Career Researcher Grant - 2012 (Round 1), 2012 - 2013, $25,000. Sheppard, J., (2014), Optimising Training for Jumping and Landing. High Performance Training for Sports, 167-184, Canada, Human Kinetics Publishers. Parsonage, J., Secomb, J., Sheppard, J., Ferrier, B., Dowse, R., Nimphius, S., (2018), Upper-body strength measures and pop-up performance of stronger and weaker surfers. Journal of Strength and Conditioning Research, in press(in press), in press, United States, Lippincott Williams & Wilkins, DOI: 10.1519/JSC.0000000000002377. Ferrier, B., Sheppard, J., Farley, O., Secomb, J., Parsonage, J., Newton, R., Nimphius, S., (2018), Scoring analysis of the men’s 2014, 2015 and 2016 world championship tour of surfing: the importance of aerial manoeuvres in competitive surfing. Journal of Sports Sciences, 36(19), 2189-2195, London, Routledge, DOI: 10.1080/02640414.2018.1443747. Mitchell, L., Argus, C., Taylor, K., Sheppard, J., Chapman, D., (2017), The Effect of Initial Knee Angle on Concentric-Only Squat Jump Performance. Research Quarterly for Exercise and Sport, 88(2), 184-192, United States, American Alliance for Health, Physical Education, Recreation, and Dance, DOI: 10.1080/02701367.2017.1293777. Parsonage, J., Secomb, J., Tran, T., Farley, O., Nimphius, S., Lundgren, L., Sheppard, J., (2017), Gender Differences in Physical Performance Characteristics of Elite Surfers. Journal of Strength and Conditioning Research, 31(9), 2417-2422, United States, Lippincott Williams & Wilkins, DOI: 10.1519/JSC.0000000000001428. Tran, T., Lundgren, L., Secomb, J., Farley, O., Haff, G., Nimphius, S., Newton, R., Brown, L., Sheppard, J., (2017), Effect of Four Weeks Detraining on Strength, Power, and Sensorimotor Ability of Adolescent Surfers. The Open Sports Sciences Journal, 10(Suppl 1: M6), 71-80, Sharjah, United Arab Emirates, Bentham Open, DOI: 10.2174/1875399X01710010071. Speranza, M., Gabbett, T., Greene, D., Johnston, R., Sheppard, J., (2017), Changes in rugby league tackling ability during a competitive season: The relationship with strength and power qualities. Journal of Strength and Conditioning Research, 31(12), 3311-3318, United States, Lippincott Williams & Wilkins, DOI: 10.1519/JSC.0000000000001540. Goodale, T., Gabbett, T., Tsai, M., Stellingwerff, T., Sheppard, J., (2017), The effect of contextual factors on physiological and activity profiles in international women's rugby sevens. International Journal of Sports Physiology and Performance, 12(3), 370-376, United States, Human Kinetics, DOI: 10.1123/ijspp.2015-0711. Secomb, J., Farley, O., Nimphius, S., Lundgren, L., Tran, T., Sheppard, J., (2017), The training-specific adaptations resulting from resistance training, gymnastics and plyometric training, and non-training in adolescent athletes. International Journal of Sports Science and Coaching, 12(6), 762-773, United Kingdom, Sage Publications, DOI: 10.1177/1747954117727810. Farley, O., Abbiss, C., Sheppard, J., (2017), Performance analysis of surfing: A review. Journal of Strength and Conditioning Research, 31(1), 260-271, United States, Lippincott Williams & Wilkins, DOI: 10.1519/JSC.0000000000001442. Coyne, J., Tran, T., Secomb, J., Lundgren, L., Farley, O., Newton, R., Sheppard, J., (2017), Maximal strength training improves surfboard sprint and endurance paddling performance in competitive and recreational surfers. Journal of Strength and Conditioning Research, 31(1), 244-253, United States, Lippincott Williams & Wilkins, DOI: 10.1519/JSC.0000000000001483. Farley, O., Secomb, J., Parsonage, J., Lundgren, L., Abbiss, C., Sheppard, J., (2016), Five weeks of sprint and high-intensity interval training improves paddling performance in adolescent surfers. Journal of Strength and Conditioning Research, 30(9), 2446-2452, United States, Lippincott Williams & Wilkins, DOI: 10.1519/JSC.0000000000001364. Farley, O., Abbiss, C., Sheppard, J., (2016), Testing protocols for profiling of surfers' anaerobic and aerobic fitness: A review. Strength and Conditioning Journal, 38(5), 52-65, USA, Lippincott Williams & Wilkins, DOI: 10.1519/SSC.0000000000000252. Secomb, J., Nimphius, S., Farley, O., Lundgren, L., Tran, T., Sheppard, J., (2016), Lower-Body Muscle Structure and Jump Performance of Stronger and Weaker Surfing Athletes. International Journal of Sports Physiology and Performance, 11(5), 652-657, United States, Human Kinetics, DOI: 10.1123/ijspp.2015-0481. Coyne, J., Tran, T., Secomb, J., Lundgren, L., Farley, O., Newton, R., Sheppard, J., (2016), Association between anthropometry, upper extremity strength, and sprint and endurance paddling performance in competitive and recreational surfers. International Journal of Sports Science and Coaching, 11(5), 728–735, London, UK, Sage Publications Ltd, DOI: 10.1177/1747954116667111. Goodale, TL., Gabbett, TJ., Stellingwerff, T., Tsai, M., Sheppard, J., (2016), Relationship between physical qualities and minutes played in international women's rugby sevens. International Journal of Sports Physiology and Performance, 11(4), 489-494, United States, Human Kinetics Publishers Inc., DOI: 10.1123/ijspp.2014-0509. Speranza, MJ., Gabbett, TJ., Johnston, RD., Sheppard, J., (2016), Effect of strength and power training on tackling ability in semiprofessional rugby league players. Journal of Strength and Conditioning Research, 30(2), 336-343, United States, NSCA National Strength and Conditioning Association, DOI: 10.1519/JSC.0000000000001058. Furness, J., Climstein, M., Sheppard, J., Abbott, A., Hing, W., (2016), Clinical methods to quantify trunk mobility in an elite male surfing population. Physical Therapy in Sport, 19(May 01), 28-35, DOI: 10.1016/j.ptsp.2015.09.003. Lundgren, L., Tran, T., Nimphius, S., Raymond, E., Secomb, J., Farley, O., Newton, R., Sheppard, J., (2016), Comparison of impact forces, accelerations and ankle range of motion in surfing-related landing tasks. Journal of Sports Sciences, 34(11), 1051-1057, Oxon, United Kingdom, Routledge, DOI: 10.1080/02640414.2015.1088164. Secomb, J., Farley, O., Lundgren, L., Tran, T., King, A., Nimphius, S., Sheppard, J., (2015), Associations Between the Performance of Scoring Manoeuvres and Lower-Body Strength and Power in Elite Surfers. International Journal of Sports Science and Coaching, 10(5), 911-918, Multi-Science Publishing Co. Ltd.
Coyne, J., Tran, T., Secomb, J., Lundgren, L., Farley, O., Newton, R., Sheppard, J., (2015), Reliability of pull up and dip maximal strength tests. Journal of Australian Strength and Conditioning, 23(4), 21-27, Beenleigh, QLD, Australian Strength and Conditioning Association. Tran, T., Nimphius, S., Lundgren, L., Secomb, J., Farley, O., Haff, G., Newton, R., Brown, L., Sheppard, J., (2015), Effects of unstable and stable resistance training on strength, power, and sensorimotor abilities in adolescent surfers. International Journal of Sports Science and Coaching, 10(5), 899-910, London, UK, Sage Publications Ltd..
Young, K., Haff, G., Newton, R., Gabbett, T., Sheppard, J., (2015), Assessment and monitoring of ballistic and maximal upper-body strength qualities in athletes. International Journal of Sports Physiology and Performance, 10(2015), 232-237, United States, Human Kinetics, DOI: 10.1123/ijspp.2014-0073. Barr, M., Gabbett, TJ., Newton, R., Sheppard, J., (2015), The effect of 8 days hypergravity condition on the sprinting speed and lower body power of elite rugby players. Journal of Strength and Conditioning Research, 29(3), 722-729, United States, Lippincott Williams & Wilkins, DOI: 10.1519/JSC.0000000000000669. Spiteri, T., Newton, R., Binetti, M., Hart, N., Sheppard, J., Nimphius, S., (2015), Mechanical determinants of faster change of direction and agility performance in female basketball athletes. Journal of Strength and Conditioning Research, 29(8), 2205-2214, United States, National Strength and Conditioning Association, DOI: 10.1519/JSC.0000000000000876. Secomb, J., Sheppard, J., Dascombe, BJ., (2015), Time-Motion Analysis of a 2-Hour Surfing Training Session. International Journal of Sports Physiology and Performance, 10(1), 17-22, United States, Human Kinetics, DOI: 10.1123/ijspp.2014-0002. Barr, M., Sheppard, J., Gabbett, T., Newton, R., (2015), The effect of ball carrying on the sprinting speed of international rugby union players. International Journal of Sports Science and Coaching, 10(1), 1-9, Multi-Science Publishing Co. Ltd.
Farley, O., Raymond, E., Secomb, J., Ferrier, B., Lundgren, L., Tran, T., Abbiss, C., Sheppard, J., (2015), Scoring Analysis of the Men’s 2013 World Championship Tour of Surfing. International Journal of Aquatic Research and Education, 9(1), 38-48, Champaign, Illinois, United States, Human Kinetics, Inc., DOI: 10.1123/ijare.2014-0072. Lundgren, L., Tran, T., Nimphius, S., Raymond, E., Secomb, J., Farley, O., Newton, R., Steele, JR., Sheppard, J., (2015), Development and Evaluation of a Simple, Multifactorial Model Based on Landing Performance to Indicate Injury Risk in Surfing Athletes. International Journal of Sports Physiology and Performance, 10(8), 1029-1035, Champaign, Illinois, United States, Human Kinetics, Inc., DOI: 10.1123/ijspp.2014-0591. Secomb, J., Nimphius, S., Farley, O., Lundgren, L., Tran, T., Sheppard, J., (2015), Relationships between Lower-Body Muscle Structure and, Lower-Body Strength, Explosiveness and Eccentric Leg Stiffness in Adolescent Athletes. Journal of Sports Science and Medicine, 14(4), 691-697, Bursa, Turkey, Journal of Sports Science and Medicine. Speranza, MJ., Gabbett, TJ., Johnston, RD., Sheppard, J., (2015), Relationship Between a Standardized Tackling Proficiency Test and Match-Play Tackle Performance in Semiprofessional Rugby League Players. International Journal of Sports Physiology and Performance, 10(6), 754-760, Champaign, Illinois, United States, Human Kinetics, Inc., DOI: 10.1123/ijspp.2015-0044. Tran, T., Lundgren, L., Secomb, J., Farley, O., Haff, G., Newton, R., Nimphius, S., Sheppard, J., (2015), Development and Evaluation of a Drop-and-Stick Method to Assess Landing Skills in Various Levels of Competitive Surfers. International Journal of Sports Physiology and Performance, 10(3), 396-400, Champaign, Illinois, United States, Human Kinetics, Inc., DOI: 10.1123/ijspp.2014-0375. Tran, T., Lundgren, L., Secomb, J., Farley, O., Haff, G., Seitz, L., Newton, R., Nimphius, S., Sheppard, J., (2015), Comparison of Physical Capacities Between Nonselected and Selected Elite Male Competitive Surfers for the National Junior Team. International Journal of Sports Physiology and Performance, 10(2), 178-182, Champaign, Illinois, United States, Human Kinetics, Inc., DOI: 10.1123/ijspp.2014-0222. Furness, J., Hing, W., Walsh, J., Abbott, A., Sheppard, J., Climstein, M., (2015), Acute Injuries in Recreational and Competitive Surfers: Incidence, Severity, Location, Type and Mechanism. American Journal of Sports Medicine, 43(5), 1246-1254, Rosemont, Illinois, United States, Sage Publications, Inc., DOI: 10.1177/0363546514567062. Secomb, J., Lundgren, L., Farley, O., Tran, T., Nimphius, S., Sheppard, J., (2015), Relationships between Lower-Body Muscle Structure and Lower-Body Strength, Power, and Muscle-Tendon Complex Stiffness. Journal of Strength and Conditioning Research, 29(8), 2221-2228, Philadelphia, Pennsylvania, United States, Lippincott Williams & Wilkins, DOI: 10.1519/JSC.0000000000000858. Speranza, MJ., Gabbett, TJ., Johnston, RD., Sheppard, J., (2015), Muscular Strength and Power Correlates of Tackling Ability in Semiprofessional Rugby League Players. Journal of Strength and Conditioning Research, 29(8), 2071-2078, Philadelphia, Pennsylvania, United States, Lippincott Williams & Wilkins, DOI: 10.1519/JSC.0000000000000897. Secomb, JL., Sheppard, J., Dascombe, BJ., (2015), Reductions in Sprint Paddling Ability and Countermovement Jump Performance after Surfing Training. Journal of Strength and Conditioning Research, 29(7), 1937-1942, Philadelphia, Pennsylvania, United States, Lippincott Williams & Wilkins, DOI: 10.1519/JSC.0000000000000843. Lundgren, L., Butel, M., Brown, T., Nimphius, S., Sheppard, J., (2014), High ankle sprain: The new elite surfing injury?. International SportMed Journal, 15(4), 321-327, South Africa, International Federation of Sports Medicine. Secomb, J., Tran, T., Lundgren, L., Farley, O., Sheppard, J., (2014), Single-Leg Squat Progressions. Strength and Conditioning Journal, 36(5), 68-71, USA, Lippincott Williams & Wilkins, DOI: 10.1519/SSC.0000000000000090. Lundgren, L., Newton, R., Tran, T., Dunn, M., Nimphius, S., Sheppard, J., (2014), Anaylsis of Manoeuvres and Scoring in Competitive Surfing. International Journal of Sports Science and Coaching, 9(4), 663-669, Multi-Science Publishing Co. Ltd, DOI: 10.1260/1747-9541.9.4.663. Barr, M., Sheppard, J., Gabbett, TJ., Newton, R., (2014), Long-Term Training-Induced Changes In Sprinting Speed and Sprint Momentum In Elite Rugby Union Players. Journal of Strength and Conditioning Research, 28(10), 2724-2731, United States, Lippincott Williams & Wilkins, DOI: 10.1519/JSC.0000000000000364. Young, K., Haff, G., Newton, R., Sheppard, J., (2014), Reliability of a Novel Testing Protocol to Assess Upper-Body Strength Qualities in Elite Athletes. International Journal of Sports Physiology and Performance, 9(5), 871-875, United States, Human Kinetics, DOI: 10.1123/ijspp.2013-0332. Furness, J., Hing, W., Abbott, A., Walsh, J., Sheppard, J., Climstein, M., (2014), Retrospective analysis of chronic injuries in recreational and competitive surfers: Injury location, type and mechanism. International Journal of Aquatic Research and Education, 8(3), 277-287, United States, Human Kinetics, DOI: 10.1123/ijare.2013-0032. Sheppard, J., Dawes, JJ., Jeffreys, I., Spiteri, T., Nimphius, S., (2014), Broadening the view of agility: A scientific review of the literature. Journal of Australian Strength and Conditioning, 22(3), 6-25, Australian Strength and Conditioning Association. Barr, M., Newton, R., Sheppard, J., (2014), Were height and mass related to performance at the 2007 and 2011 Rugby World Cups?. International Journal of Sports Science and Coaching, 9(4), 671-680, United Kingdom, Multi-Science Publishing Co. Ltd, DOI: 10.1260/1747-9541.9.4.671. Barr, M., Sheppard, J., Agar-Newman, DJ., Newton, R., (2014), Transfer effect of strength and power training to the sprinting kinematics of international rugby players. Journal of Strength and Conditioning Research, 28(9), 2585-2596, United States, Lippincott Williams & Wilkins. Spiteri, T., Nimphius, S., Hart, N., Specos, C., Sheppard, J., Newton, R., (2014), Contribution of strength characteristics to change of direction and agility performance in female basketball athletes. Journal of Strength and Conditioning Research, 28(9), 2415-2423, United States, Lippincott Williams & Wilkins. Secomb, J., Farley, O., Lundgren, L., Tran, T., Nimphius, S., Sheppard, J., (2014), The effect of initial lower-body strength on the training-specific adaptations resulting from combined plyometric and gymnastics training. Journal of Australian Strength and Conditioning, 22(7-9 November 2014), 61-64, Australian Strength and Conditioning Association. Sheppard, J., Farley, O., Tran, T., Lundgren, L., Secomb, J., King, A., (2014), An evaluation of the use of personal water craft to create technical and physical overload in training of an elite surfer. Journal of Australian Strength and Conditioning, 22(7-9 November), 144-148, Australian Strength and Conditioning Association. Ferrier, B., Sheppard, J., Newton, R., Nimphius, S., (2014), The importance of aerial manoeuvre variations on competitive surfing performance. Journal of Australian Strength and Conditioning, 22(7-9 November 2014), 135-138, Australian Strength and Conditioning Association. Farley, O., Andrews, M., Secomb, J., Tran, T., Lundgren, L., Abbiss, C., Sheppard, J., (2014), The validity and inter-unit reliability of custom-made surftrax GPS units and use during surfing. Journal of Australian Strength and Conditioning, 102-105, Australian Strength and Conditioning Association. Lundgren, L., Tran, T., Farley, O., Secomb, J., Nimphius, S., Newton, R., Sheppard, J., (2014), Athletic movement competency is related to general athletic performance variables and surfing performance. Journal of Australian Strength and Conditioning, 22(7-9 November 2014), 80-83, Australian Strength and Conditioning Association.